GMO: or a genetically modified organism is any organism whose genetic material has been altered using genetic engineering techniques. 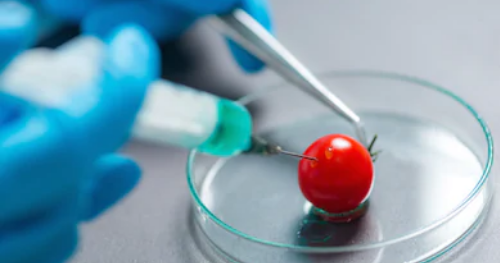 GMOs are used to produce many medications and genetically modified foods and are widely used in scientific research and the production of various other goods. The foreign genes used in GMO's can come from bacteria, viruses, insects, animals and even humans. Should You Genetically Design Your Puppy?